In September 2009, Chancellor Marty Meehan and Provost Ahmed Abdelal established the Center for Irish Partnerships at UMass Lowell, one of six international partnership centers. The aim of these centers is to strengthen and coordinate ongoing international partnerships as well as to develop new education and research partnerships in areas of the world that pose strategically important opportunities. The Center had four directors: Dr. Frank Talty, Dr. Stephen McCarthy, Professor Ann Marie Hurley and Victoria Denoon. In 2018, the Center's archives donated to the UMass Lowell Libraries Special Collections. The collection is consists of approximately 1 linear foot of folders organized in alphabetical order by category; the categories are as follows: Agreements, Belfast, Belfast Hockey, CIP Press Clippings, CIP Reports/Publications, Correspondence, Derry and Northwest Ireland, Donegal Diaspora, Faculty Mini Grants, Irish-American Heritage Archaeological Project, Itineraries, Irish Echo Golden Bridges Conferences, Irish in Massachusetts, Mary McAleese Visit, N.U.I. Galway, Presentations, Press Magazines, Research Materials, Speaker Series, US/Ireland Emerging Technologies Conference, and Women and Leadership UML--QUB Conferences. These folders consist of documents, pamphlets, and photographs. The full finding aid for the collection can be found here. UMass Lowell Libraries has made available on its official Internet Archive page a selection of digitized items from across the collection that represent the full breadth of the Center's activities. The items have been digitized inline with best archival standards and practices, and, where possible, uploaded in full high-definition TIFF files. Using the Wayback Machine, UML Libraries has also archived the Center's official UML webpage to be viewed at any time after it is taken down. A collection of high-quality reprinted primary source documents about the Ulster Plantation issued by the Donegal County Archives. The official program for the Women and Leadership conference hosted by UMass Lowell and Queen's University Belfast at Queen's University Belfast on May 22, 2018. A history of emigration from the Irish cities of Moville and Derry. A collection of high-quality reprinted primary source documents about the Flight of the Earls issued by the Donegal County Archives. A short guide to the castle complex. UMass Lowell students Ami Krawczyk and Katherine Henckler participating in Archaeological Dig in Co. Tyrone, Northern Ireland. The official program for the Advanced Materials, Polymer Processing and Manufacturing Conference that was held at Queen's University Belfast on September 25th, 2012. Speaker biographies for the Women and Leadership conference hosted by UMass Lowell and Queen's University Belfast at the UMass Lowell Inn & Conference Center on November 17, 2017. The master finding aid for the UMass Lowell Center for Irish Partnerships Archive. A PowerPoint presentation about the history and people of the Acre neighborhood in Lowell, MA. The University of Massachusetts Lowell (UMASS LOWELL) and Queen's University (QUB) enter into this Framework for Institutional Collaboration (the "Agreement") in order to promote, facilitate and consolidate international cooperation in education and research based on the principles of reciprocity and mutual benefit. Professor Frank Talty speaking at the 2013 Irish Diaspora Conference hosted by Donegal Gathering at the Letterkenny Institute of Technology. The full report issued to the public by the UMass Lowell Center for Irish Partnerships detailing their activities for the year 2016. List of the speakers at the 2016 Donegal-Irish Diaspora Conference, accompanied by brief biographies. Event briefing sent to UMass Lowell faculty and staff for the Lord Mayor of Belfast's visit on September 17, 2015. Eugene L. O'Flaherty, and Professor Frank Talty speaking at the 2013 Irish Diaspora Conference hosted by Donegal Gathering at the Letterkenny Institute of Technology. A history of the Gaelic Athletic Association, and an overview of the holdings of the Archives of the Donegal Gelic Athletic Association County Board. Itinerary for the UMass Lowell Alumni Association tour to Belfast for the Friendship Four hockey game. The tour was held November 23-29, 2015. The list of invited speakers and their biographies to the 2013 Donegal Diaspora Shared History-Our Shared Future Conference. An article from the official UMass Lowell Magazine on the Irish-American Heritage Archaeological Program dig in Lowell's Acre neighborhood. The nomination form for the 2017 Tip O'Neill Diaspora Award; the president of the UMass system, Marty Meehan, was nominated, and his biography is appended to the nomination form. The logo of the UMass Lowell-Queen's University Belfast Irish-American Heritage Archaeological Program. A poster advertising the the Remembering 1916: The Easter Rising, The Battle of the Somme and Impact on Lowell—A Public Engagement Conference , which was held at the UMass Lowell Inn & Conference Center on September 7-8, 2016. The agenda and attendees for the UMass Lowell Delegation Team meeting at Queen's University Belfast on Friday 27 November 2015. A letter from the Center for Irish Partnerships co-directors outlining the Center's strategic priorities. The UMass Lowell Center for Irish Partnerships Spring 2010 newsletter. A PowerPoint presentation on the history and activities of the Irish-American Heritage Archaeological Program. The UMass Lowell Center for Irish Partnerships fall 2010 newsletter. UML Professor Jim Nehring speaking at Queen's University Belfast. An overview of the Research Activity undertaken between the Center for Irish Partnerships, University of Massachusetts Lowell and the School of Geography, Archaeology and Palaeoecology, Queen's University Belfast 2010-2015. Program booklet for the 2016 Belfast International Homecoming Business & Investment Conference. Speaker biographies for the 2016 Donegal Diaspora conference. An article from the official UMass Lowell Newsline newsletter detailing the results of the August 2010 Irish-American Heritage Archaeological Program archaeological dig at St. Patrick's Church in Lowell, MA. Eugene L. O'Flaherty, Professor Frank Talty, and Clr. Dessie Larkin speaking at the 2013 Irish Diaspora Conference hosted by Donegal Gathering at the Letterkenny Institute of Technology. The completed form nominating Martin "Marty" Meehan for the 2017 Tip O'Neill Diaspora Award. The official program for the US/Ireland Emerging Technologies Conference that was held at UMass Lowell on October 19-20, 2009. Updates to the Center for Irish Partnerships' Activities, Mission, and Purpose statement that were drafted and promulgated on October 2, 2014. The schedule for the Remembering 1916: The Easter Rising, The Battle of the Somme and Impact on Lowell—A Public Engagement Conference that was held at the UMass Lowell Inn & Conference Center on September 7-8, 2016. A PowerPoint presentation detailing the history and activities of the UMass Lowell Center for Irish Partnerships. Report by Dr. Seán Beattie for the UMass Lowell Center for Irish Partnerships on the 2016 Donegal-Irish Diaspora Conference which was held at Letterkenny Institute of Technology, (LYIT) Co Donegal on 19th and 20th May 2016. The agenda of the Remembering 1916: The Easter Rising, The Battle of the Somme and Impact on Lowell—A Public Engagement Conference , which was held at the UMass Lowell Inn & Conference Center on September 7-8, 2016. A PowerPoint presentation detailing the activities undertaken by the Irish-American Heritage Archaeological Program during season 2 of 2011. 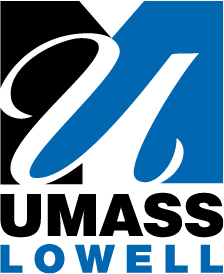 The purpose of this agreement is to outline the mutual responsibilities of the University of Massachusetts Lowell, USA (UMass Lowell), and Dublin City University, Dublin, Ireland (DCU), in an association that both institutions believe will be mutually beneficial and will result in the enhancement of key areas of research and student learning at each institution. The official program for the Irish in Massachusetts Conference that was hosted by UMass Lowell and Queen's University Belfast on September 24-26, 2014. St. Patrick's College in Maynooth, Co. Kildare, Ireland. The full report on the 2009 Gateways to Tomorrow Conference hosted by The Irish Echo that was held on October 8-9, 2009 in Boston, MA. The 2012 American Election: Will the Republicans Re-take the White House? A presentation on the 2012 American presidential election that was given by Dr. Frank Talty of UMass Lowell at Queen's University Belfast on September 25, 2012. A booklet detailing the history of The Mellon House at the Ulster American Folk Park. An overview of the anticipated economic impact of the first collegiate ice hockey game in Europe which was played in Northern Ireland on 2 October 2010. A poster advertising a presentation on the 2012 American presidential election that was given by Dr. Frank Talty of UMass Lowell at Queen's University Belfast on September 26, 2012. The summary of the panels and activities at the 2016 Donegal Diaspora Conference. A brochure advertising the UMass Lowell Center for Irish Partnerships. The official program for the Women and Leadership conference hosted by UMass Lowell and Queen's University Belfast at the UMass Lowell Inn & Conference Center on November 17, 2017. Frank Talty at Queen's University Belfast. Left to Right: Sean McGuickin (QUB), Victoria Denoon (UMass Lowell), Yvonne Galligan (QUB), Andrew Hamilton (QUB), Audrey Horning (QUB) Don Pierson (UMass Lowell), Joe Hartman (UMass Lowell), Anita Greenwood (UMass Lowell), Scott Latham (UMass Lowell), Patrick Johnston (Vice-Chancellor, QUB), Chancellor Moloney, Luis Falcon (UMass Lowell), Tom Millar (QUB), Paula Rayman (UMass Lowell), Julie Chen (UMass Lowell), Lee McGowan (QUB), Lorraine Martin (QUB) and Hastings Donnan (QUB). UML professor Frank Talty discussing the 2016 US presidential election on Letterkenny radio.